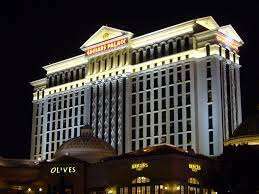 The ongoing Chapter 11 Caesars Entertainment Operating Company [CEOC] bankruptcy saga involving the restructuring of Caesars Entertainment, Inc. appears back on track after a series of recent deals were reached between the casino-entertainment and a handful of holdout creditors. That the giant restructuring had finally gotten past the worst of the legal battles became evident last month, when CEI issued an announcement that the company’s executive board and controlling owners — equity-management firms Apollo Global Management LLC and TPG Capital — had finally reached a deal with a large majority of the company’s 173 outstanding lienholders. Many of those lienholders were parties in the multiple suits brought against Caesars since the company’s operating group, CEOC, filed for Chapter 11 protection in early 2015. In particular, CEOC’s “second lien” debtholders fought hard against Caesars’ favored restructuring plan, which would have originally given that class of debtholders only a few pennies on the dollar. Even as the lawsuits have not only complicated the CEOC Chapter 11 filing, but also threatened to unwind it, the usual hordes of lawyers representing the various parties have been at the negotiating table, working on a more equitable deal for all involved. That’s what was finally reached, it seemed, last month. And that’s where Friday’s news enters the picture… and in a sense, completes it. Not only has Caesars reached agreements with the remaining aggrieved debtholder, the company has also succeeded in getting the government’s bankruptcy watchdog agency, the US Trustee, to drop its own objections to the last full version of the CEOC bankruptcy plan. That means that the “trial” in the bankruptcy can begin as scheduled on Tuesday, January 17th, in a federal bankruptcy courtroom in Chicago. Included with that will be the formal filing of the CEOC bankruptcy’s “Third Amended Joint Plan of Reorganization Pursuant to Chapter 11 of the Bankruptcy Code.” Included in that will be all the gory financial details, many of which have yet to be made public, but will likely be released in the next several days. 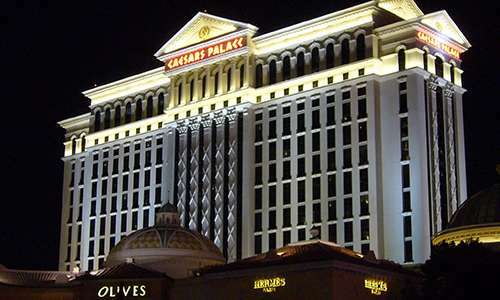 It’s very good news for Caesars, despite short-term fluctuations in the company’s share price. CEI will retain ownership, through its various corporate entities, of all of its casino and entertainment properties, plus such valuable brands as the World Series of Poker. The WSOP has been rumored to either be sold or be on the move to a different Caesars property on an annual basis for most of the last decade; oddly enough, with the CEOC bankruptcy finally on track to a successful approval, those rumors haven’t surfaced this year, and the 2017 WSOP is well on track, scheduled as usual for the off-strip Rio Convention Center this summer.